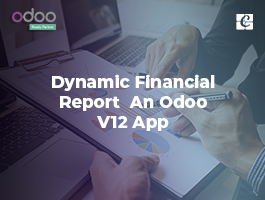 How to Track and Analyse Project Expenditures in Odoo? 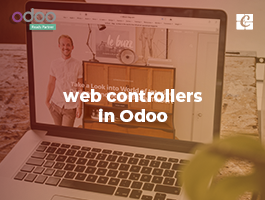 Odoo has well-structured suit to manage projects and tasks. In the business world, we have to analyze each project's income and expense for close profitably. Here we are discussing the same point. Cost/Revenue analysis on a project in Odoo ERP. 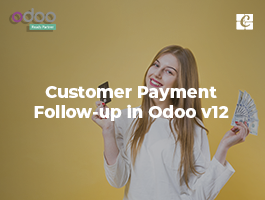 In Odoo, Analytic Accounts are used to sketch all payment transactions based on projects. If the end user using Project Management for his custom industry, he can easily track his related sales & purchase or expense and income using this methodology. Generally, Analytic Accounts terms are not highly inscribed inside the accounting. It is a very flexible term used in majority sectors inside a company. Analytic Accounts are not only used in Project management, But also in several modules like manufacturing – production management, human resource expenses, administration management etc. However, we are pointing here its advantages and tracking capacity in Project Management. If we enabled Analytic Accounting over project management, we can track its performance, productivity, profitability, invoicing and time sheets in all manner. Through this, the top user can manage and forecast easily the resources and time. + Ensure Project, Sales, Purchase Modules are installed. + Enable Analytic Accounting in Accounting Section. + Enable Analytic Accounting for Purchase in Accounting Section. + Create Sale Order related to Project's Analytic Account. + Create Purchase Orders Related to Project's Analytic Account. + Create Expenses Related to Project's Analytic Account. + Track through Cost/Revenue Reports. Here I am going to explain each part of the points mentioned above. Sales-Purchase-Expense-Accounting/Analytic Accounting is the key modules for this purpose. So ensure these modules are installed in Odoo instance. If not, install these modules. Now the system is enabled with analytic accounts. Don't forget to enable the same for Purchase in the same settings form. Image 1.2: Enable Analytic Accounts for Purchase. See an analytic account is created at the same time, Note that the project has no any debit or credits now. Above, We created the project. Now we doing some sales and purchases related to the project with its analytic account. We purchasing some products (say car kit) for our rental project. Note the analytic account mentioned (Odoo: Car Rental System) on the above purchase order for the project. Now, we completed a purchase order (see image 1.5) & sale order (see image 1.6) based on project (project's analytic account). Now we have to check the cost-revenue report of the same project. We can see its detailed transaction of credit and debits by clicking the above line. That process will give a form view like below. The super button named “Cost/Revenue” in this form view will give you the detailed track of the transactions related to this analytic account. 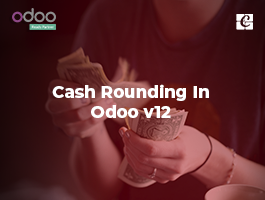 As mentioned in introduction part, we can also track the project expense also in Odoo. For this purpose, we need to install “Expense” module. Then add simply an expense record on the project. Here we are creating a flight ticket expense for the project. Image1.10: Expense Registered with Project's Analytic Account. Now we can check our project tracking sheet through analytic account cost/revenue report. There we can see that one more entry “Air Flight (Expense)” other than sales and purchase. Image 1.11: Expense Entry is listing under Project's Analytic Entry. So this blog concludes that we can track almost all the incoming & outgoing payments related to the project with an analytic account. 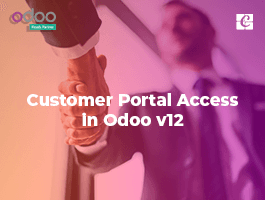 This is a good feature of Odoo ERP system.